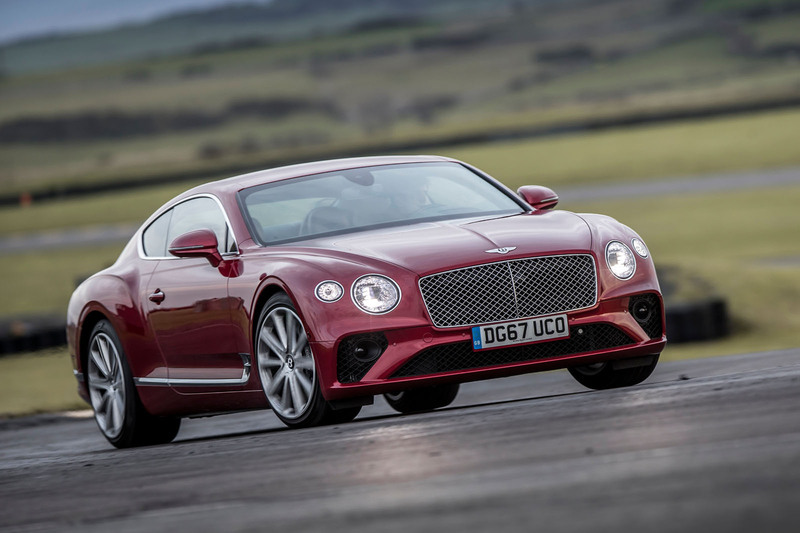 The all-new Conti GT shares much of its DNA with the Panamera. Can Crewe’s engineers cut its Porsche-based cloth so it feels like a true Bentley? And all at once, Wolfgang Dürheimer’s tenure as Bentley’s guv’nor makes even more sense. Dürheimer, one of the best engineers and managers within the Volkswagen Group, was also, you might remember, Porsche’s head of research and development when the Panamera was first launched, so he saw it through to a (pretty successful) completion. And now, here comes a Bentley, the Continental GT, which is based on the same architecture as the latest Porsche Panamera. I suspect that having somebody of Dürheimer’s inf luence around has been quite useful during this car’s gestation. 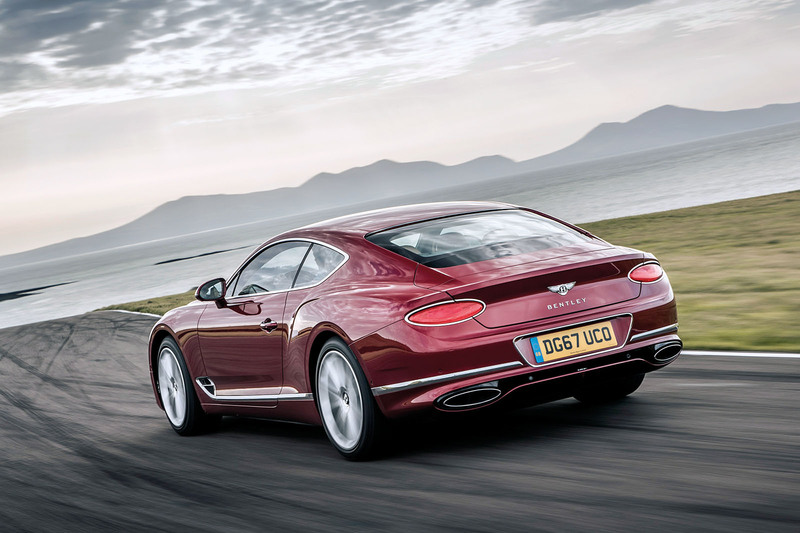 The latest Continental GT is, as before, a 2+2. And it’s nearly ready. Nearly enough that this story could almost have appeared in this magazine’s First Drives section. But, four months from full production, there are still some things – software and trim finishing, rather than any hardware, which is all signed off – that still need changing; so here we are, in the features section, testing an almost ready Continental, Bentley’s W12-powered £150K-ish luxury coupé. 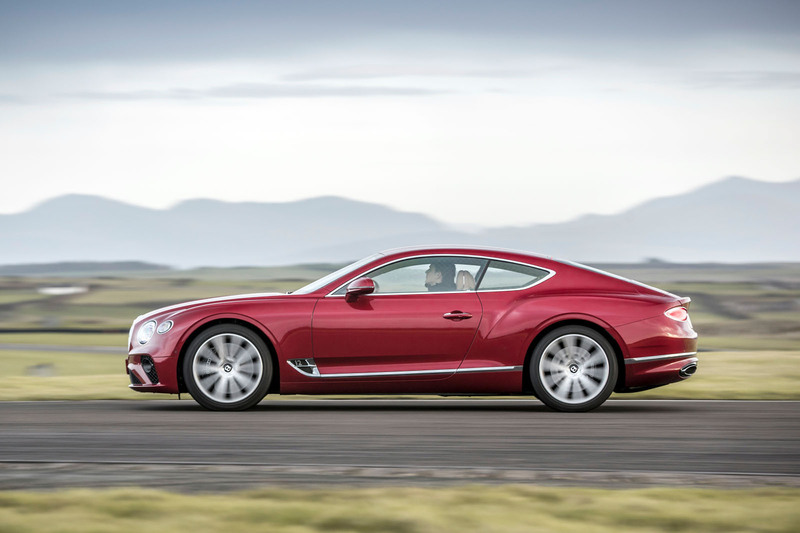 The architecture it’s based on matters because it really defines how this latest Continental GT behaves, and Bentley would like it to behave with luxury first, and sportiness second. Therefore, Bentley’s – Dürheimer’s – influence over Porsche’s MSB platform, which underpins the Continental, shouldn’t be underestimated. It wasn’t a case of Bentley being given the hardware and told to get on with the job. It has exerted its own requirements into the platform, such as specifying changes to the suspension so that it can accept a larger wheel and tyre size than any other MSB car, and, more important, designing certain structural elements so that they have better local stiffness. Local stiffness is, apparently, crucial in a luxury car, which is what the Bentley is; whereas overall body stiffness is more important in a sports car, which is what a Porsche is. Overall body stiffness lets the suspension and steering be as precise as you like it to be. But it amplifies sound, as you’ll know if you’ve driven a stretch of concrete motorway in a car with a super-rigid body structure. I SAID, AS YOU’LL KNOW IF... oh, never mind. So, anyway, you want the body-in-white to reach only a particular stiffness, and after that, engineers on luxury cars are better served working on local stiffness, to ensure the suspension (there are three air springs at each corner here and 48V active anti-roll bars), engine, transmission and so on can do their jobs properly. You want anything suspension and steering related as stiff as possible. But how rigidly you mount the engine is a particular conundrum. Too stiff and it upsets the natural refinement of the car. Too loose and it’ll rock during cornering and direction changes, and it unsettles the car that way, like having a 300kg dragon loose under the bonnet or something. It helps the luxury thing, of course, if you put an engine that has a natural balance to it beneath the bonnet, such as one with 12 cylinders. I say that, mind, because it’s true that cars with multiples of six in-line cylinders have perfectly balanced primary and secondary moments, so they don’t really vibrate. Bentley’s W12, newly developed for the Bentayga and with more than 80 components changed again here (mostly because they don’t need it to go off road), isn’t so inherently balanced but is incredibly compact because it’s effectively arranged like two V6s around a common crankshaft. So it’s very short and, coupled with the fact that the front axle line is pulled forwards over its predecessor by 135mm, it gives a rather better weight distribution, of 55/45 front to rear, rather than closer to 60/40 last time out. Bentley says it’s the most advanced 12-cylinder on the planet. Six cylinders shut down under light loads and it has two turbochargers, but it’s the injection where it’s cleverest. Old-fashioned port injection is apparently good for giving a car a relaxed, refined idle and low-rev mooching, whereas high loads and throttle openings suit these new-fangled direct-injection methods. So they’ve given the 6.0-litre W12 both. Finessing the map from one to the other is still on Bentley’s to-do list. But even now, it generates 626bhp at 6000rpm, which is not a monumental increase over the most powerful versions of the previous Continental GT, and 664lb ft from 1350rpm. Which is. It drives – and here’s where the platform could reveal its less luxurious side but we’ll see – through a ZF dual-clutch eight-speed gearbox rather than a torque-converter unit, to which a W12 has so far always been mated. But what Porsche’s influence takes with one hand, it gives with the other: the four-wheel-drive system is far more rear biased than before. Depending on the drive mode you’re in, only up to 38% of power can ever go to the front, and if you’re in Sport, only 17% will get there. So not only is the Continental GT a little lighter than before (although, at 2244kg, these things are relative) and the weight is distributed more evenly, but most of the time it’s also rear-wheel drive. Excellent. Ultimately, then, Bentley’s chassis engineers would like you to consider it a great car to drive, full stop, rather than a great car to drive, given its weight. Which still strikes me as a tall order. I mean, if you want massage seats and mirror-matched veneer, you are going to have to accept that the car weighs more than, say, an Aston Martin DB11, which, although the two cars are meant to do slightly different things, is probably the Bentley’s closest benchmark. So let’s see. Inside, the Continental GT has the DB11 fairly licked. Granted, if Aston decided it too wanted to do more grand and less touring, perhaps it would make its interior feel more like this, but the good things about the Continental’s interior are, first and foremost, how beautifully put together from first-rate materials it feels and, second, that there’s precious little in here you could identify as coming from its parent manufacturer. There are a couple of bits of stitching that need tidying up as full production approaches, but you have to be looking for imperfections to find them. Really, though, it’s all but there. It all adds weight, this kit, I don’t wonder, but that’s why it has a 6.0 W12, after all. The still-sizeable sprung mass presents its own advantages as well as disadvantages, mind. On the plus side, it means that the body is fairly well impervious to small lumps and bumps in the road. Simply, a given impact will push a lightweight body out of line more than it will a heavy one. And the new Continental GT, as we mooch out of the Crewe HQ bound for North Wales and eventually Anglesey race circuit, shows it’spretty able here. The roads around the Crewe factory are sufficiently shaky that Bentley has asked the local council not to resurface them, because it’s a good ride test, and one the new GT meets with impressive cabin isolation. Conversely, though, when you do get a heavy body moving, it’s harder to keep it pinned down. And if, like Bentley, you give your car a huge remit – to be part sports car with 200mph capability, yet all luxury car, you have to be a bit clever. The 48V anti-roll bar system that made its debut in the Bentayga, then, is back, as is air springing with three chambers at each corner. 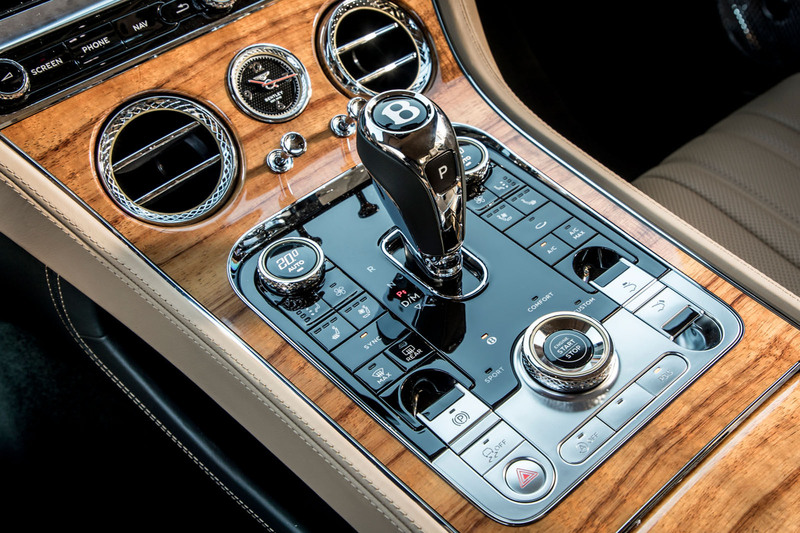 In the car’s ‘normal’ drive mode, signified by a little ‘B’ on the drive controller (and known as Bentley mode by the engineers, because it’s their preferred setting), you’re working with two air chambers. Flick the switch to Sport and you lock out yet another air chamber. Flick it the other way, to Comfort, and you open up all three. In Sport, the spring rate is pretty much double the Comfort one. It’s all rather effective, with adaptive dampers, plus the active anti-roll bar, which is loose in a straight line and firms up in cornering, keeping body movements in check. The advantage of 48V power for the anti-roll bar is that the response time is fast – about 0.3sec from full slack to full firm, which, given you’re dealing with roll movements that want a second to take effect, means that effectively it’s ahead of the game. The GT steers nicely too: there’s only one weight to the rack regardless of drive mode because Bentley has chosen a good one and hopes you’ll appreciate the consistency even if you want a bit more in-town damping. Which is sensible: the set-up is smooth, precise and rewarding. And if you insist, you can specify a different weight for the car’s individual drive mode. But we wouldn’t. To return to Bentley engineers’ desire for this car to be perceived as, simply, great to drive, rather than great to drive for its size: it’s getting darned close to that. On North Wales roads, body control is impressive, the steering’s keen and the balance is right. A DB11 would feel more agile again, I don’t doubt, as it would when we get to Anglesey too, but the Aston doesn’t have the same comfort levels or interior solidity. Different strokes, etc. 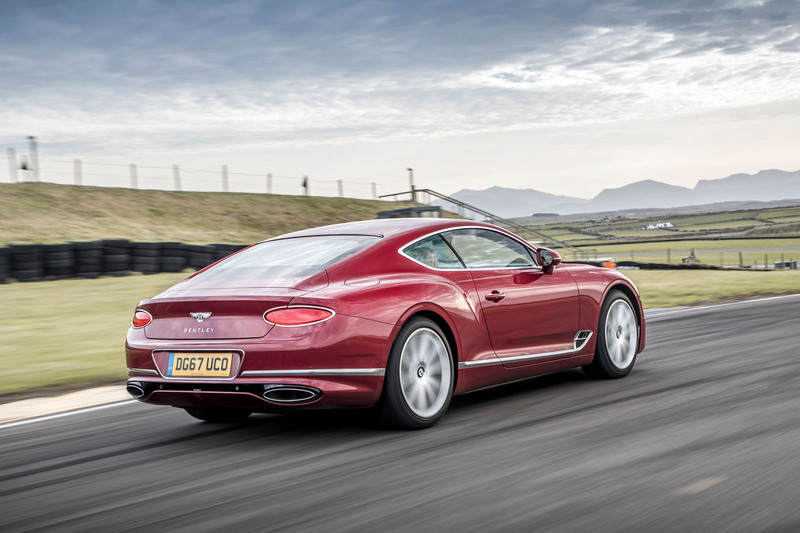 On the Anglesey circuit, the Continental GT hangs on gamely, in a way that a 2244kg car has no real right to. It’ll even push itself into a slide on the exit of a corner, although control and agility aren’t as tight, inevitably, as they are with the Aston. The V8 version that’ll doubtless come later will improve things further. But the W12 is more appealing than it has been previously because it makes a slightly better noise (although I’m still not convinced that it’s as throaty as a V8) and has mammoth torque. It and the gearbox, though, are the most obviously unfinished parts. There’s an occasional hesitancy in power delivery if you’re off and on the throttle quickly, but the dual-clutch transmission needs more work again. Initial step-off is fine and it shifts cleanly at higher speeds but, in between, there’s an occasional clonk as it picks between gears, and it’s generally less refined than a conventional torque-converter auto. I wonder, if it weren’t for the limitations of the platform, whether Bentley’s engineers would have preferred a conventional auto, but I don’t doubt they’ll get there with this one. It’s so impressive elsewhere that once it gets those tweaks to see it over the line, it’ll be a world-class luxury GT car. When it comes to everyday driving, the Continental GT is so predominantly rear driven that, on our road drive from Crewe to Anglesey, despite some keen driving, power would have been going to the front wheels only 1% or 2% of the time. In Bentley or Comfort mode, it can put up to 38% of drive to the front wheels, although that reduces to a maximum of 17% in Sport mode. There’s an electronically controlled clutch to push power forwards but what I hadn’t realised until now – perhaps you had – is that it requires the front wheels to have a slightly larger rolling circumference than the rears. Not by a lot (2% or 3%) but the difference in wheel speeds means that, as the clutch is engaged, there’s already friction between the plates via which power is dragged from front to back. So if you’re an aftermarket tuner thinking about just specifying four wheels and tyres of the same size, think again, because if that happens, when the clutch is engaged, precisely nothing will happen. 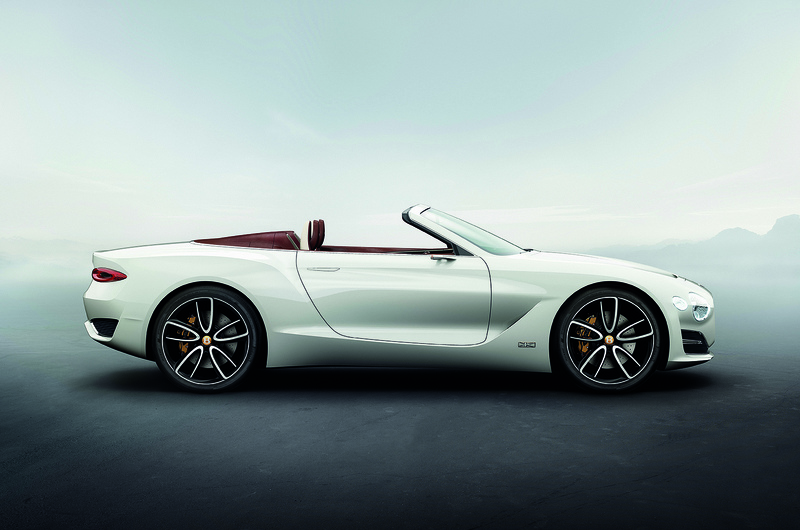 Bentley is focusing on its new coupé for now, but we expect the convertible GTC to quickly follow in its footsteps, with a reveal due before the end of next year. The grand tourer’s range is then expected to echo the outgoing generation’s: product line director Benno Brandlhuber has previously told Autocar there is “no reason” why the new Continental line-up will not repeat the previous range, including the Supersports and the four-door Flying Spur. The Continental will also adopt a W12 as well as a plug-in hybrid powertrain, which will first be seen in the Bentayga. They're offering both V12 and W12? Is that a typo? Lovely interior nice style evoluion. Heavy thing. It is sort of a bargain given what you get in the way of technology. Wondering how long before tripple air springs and active anti roll bars are options on a 35k car. Just a pity that the exterior changes, in true German style, look like nothing more than a very mild facelift. I'm struggling with the screen cover. Does it have dials? Where does it go when the screen comes on? The woodgrain and interior look stunning. The rear lights and the crease above the rear wheel do not. The grille also looks like it's sliding off the front of the car. After, what is it, 14 years, a so-so update. I would prefer a DB11. I am struggling with your analogy of "the beautifully made interior?" The wonky bookmatching on the dials panel is a disgrace for a Bentley. That would drive me mad. The headlining looks like something Jarvis Cocker would consider as footwear?....or was it Lint vacuumed from Chris Evan's bum cleveage and then weaved by gaunt, thin children in the satanic mills of a rainy Northern town nestled in the Pennines? It is also time that the 2 headlight configuration merge into one teardrop shaped unit. Was the inspiration for the centre console, stolen from a top down view of Puff daddy's coffee table? I would so love to have it on my drive though! So all is well in the world. It's a pre-production car, the interior wasn't signed off. Bmw will be kicking them selves they didn’t keep the rights to the 75 coupe as they could have released this sooner. Although I think that was a better looking car. What a terrible evoloution of the design, I will have the old one please. A substanatial improvement form the old lumpy bulky model. The interior is especially refreshing, gone is the over detailing of the old car. At last Bentley makes a tentative step to engage with the 21th century. Well written and informative article. Thank you.